I've been reading some great books recently. 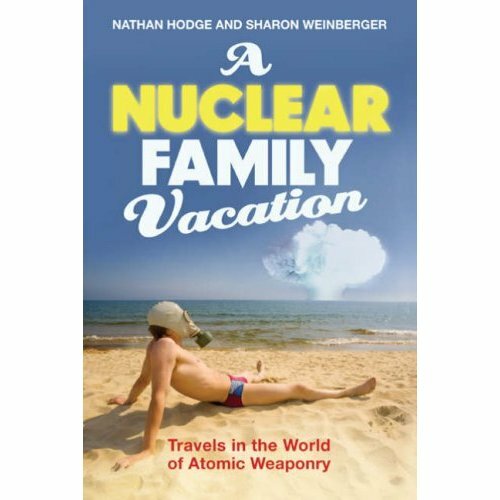 A Nuclear Family Vacation: Travels in the World of Atomic Weaponry (Bloomsbury) is by Nathan Hodge and Sharon Weinberger, a husband-and-wife team of US defence reporters turned nuclear tourists. Rather than relaxing on the Florida beach for their holidays they travelled the world in search of nuclear sites. It's an entertaining and informative read with an important conclusion. The whole "nuclear weapons complex", costing billions of dollars a year, is an enterprise that has "lost its way". According to Hodge and Weinberger, it may be time for the US to think the unthinkable and "explore practical options for eliminating the nuclear arsenal". Read more in my review for the Guardian. Also in the Guardian are a couple of paperback reviews. Follow the Water: Exploring the Sea to Discover Climate (Basic Books) is an excellent introduction to oceanography by novelist and keen sailor Dallas Murphy. At nearly 900 pages, Cosmos: An Illustrated History of Astronomy and Cosmology by John North (Chicago) is a suitably monumental book about the biggest subject of all. First published in 1993 and now updated and reissued with many beautiful illustrations, this is a definitive history of our love affair with the stars. Last but by no means least - because believe it or not this book is actually bigger than Cosmos - is the Chambers Dictionary of Science and Technology (Chambers). At over 1370 pages and a full 7 cm thick, this weighty tome is a must-have addition to the library of any science buff, fact checker, word lover, or wannabe contestant of University Challenge. Read my full review, intriguingly titled "Shish-kebab with a spud", in this week's Times Literary Supplement (August 15, 2008).